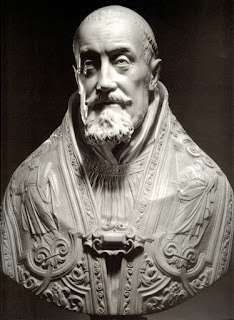 Gregory XV, who was christened Alessandro Ludovisi, became Pope on this day in 1621. He was the last Pope to issue a papal ordinance against witchcraft with his ‘Declaration against Magicians and Witches’, put out in March 1623. He was already 67 years of age and in a weak state of health when he was chosen as Pope and relied heavily on his 25-year-old nephew, Ludovico Ludovisi, to assist him in his duties. Born in Bologna in 1554, the young Alessandro Ludovisi was educated at a Jesuit college in Rome before going to Bologna University to study law. He worked in various roles for the church until he was appointed Archbishop of Bologna in 1612, having at some stage been ordained. In 1616 he was sent by Pope Paul V to mediate between Charles Emmanuel 1, Duke of Savoy and Philip III of Spain, who were involved in a dispute. The Pope elevated him to the rank of Cardinal in the same year. He went to Rome after the death of Pope Paul V to take part in the conclave. He was chosen as Pope on February 9, 1621, the last Pope to be elected by acclamation. His nephew, Ludovico, was made a cardinal and he used his energy and talents to benefit the Church during Gregory’s pontificate. Gregory changed the way Popes were elected, bringing in the method of secret ballot for future papal conclaves. He also made the founder of the Jesuits, Ignatius Loyola, a saint. 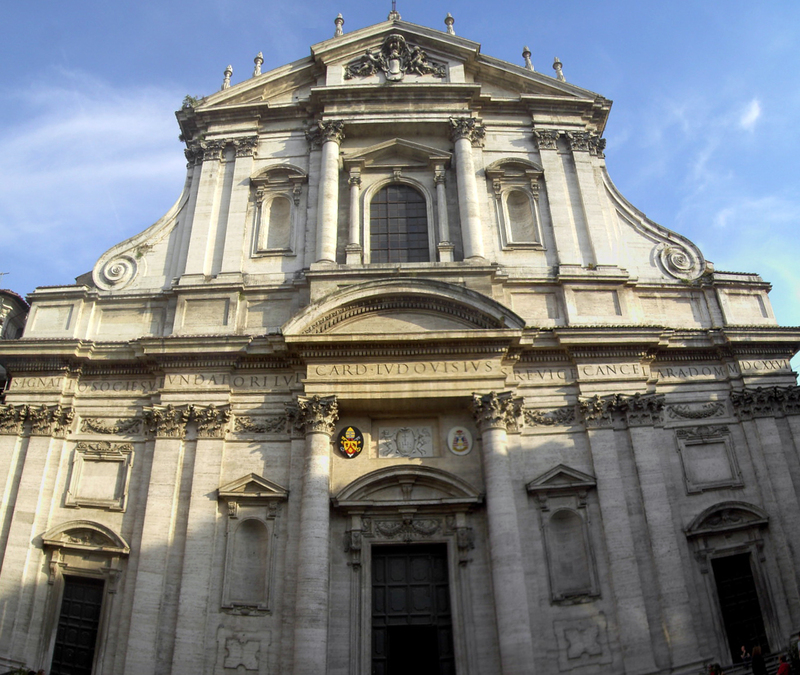 After Gregory’s death in 1623 he was buried in the Church of Sant’Ignazio in Rome. Pope Gregory XV and his nephew, Cardinal Ludovisi, are both buried in a chapel of the Church of Sant’Ignazio in Campo Marzio in Rome, which they built. 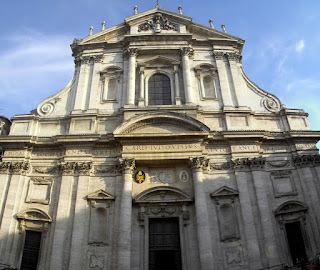 After Ignatius Loyola had been made a Saint in 1622, Pope Gregory XV had suggested to his nephew that a new church dedicated to the founder of the Jesuits should be erected next to the Jesuit College he had attended as a child. Alessandro Ludovisi studied law at Bologna University, which was founded in 1088 and is the oldest university in the world. The oldest surviving building, the Archiginnasio, is now a library, open Monday to Friday from 9am to 7pm, and on Saturdays from 9am to 2pm. It is just a short walk from Piazza Maggiore and the Basilica di San Petronio in the centre of the city.